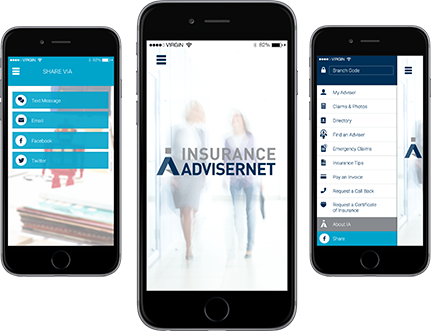 Anderson Financial Services trading as AFS Insurance is an Authorised Representative of Insurance Advisernet, one of Australasia's biggest General Insurance Brokers. Our knowledge of the local insurance industry is second to none and our experience in handling insurance for many thousands of customers enables us to provide advice you can always trust. It also means you'll benefit from access to unrivalled financial strength, business efficiencies and buying power spanning every major insurer in Australia, New Zealand and access to major overseas insurers if and when required. We are a member of the National Insurance Brokers Association (NIBA) and a part of the Austbrokers Group. To help identify products and pricing best suited for your business and risk profile, we can prepare a complete Risk Analysis assessment and provide you with detailed product information. Our success has been built on personalised service and support. We are always willing to discuss your insurance and risk management requirements. AFS Insurance is an Authorised Representative of Insurance Advisernet, one of Australasia's biggest General Insurance Brokers. Being an Insurance Adviser in Mount Gravatt our knowledge of the local insurance industry is second to none and our experience in handling insurance for many thousands of customers enables us to provide advice you can always trust. It also means you'll benefit from access to unrivalled financial strength, business efficiencies and buying power spanning every major insurer in Australia and New Zealand even access to major overseas insurers if and when required. We specialise in Professional Indemnity Insurance and Property Owners Insurance as well as a broad range of insurance products. Professionals that work in any industry that services information and advice to the public are at a risk of providing incorrect or unsuccessful information. Protecting your company and income from losses, professional indemnity insurance is one of the best covers you can invest in as it will protect you from any claims of negligence, misconduct or breach of duty. Industries such as media professionals, real estate professionals, charity and leisure professionals are eligible and recommended to invest in professional indemnity insurance for their businesses. These claims often result in a legal issue, which can become costly and result in financial loss for the business. Every professional industry come with their own set of unique risks, however in order to reduce the risks associated with your business there are insurance plans you can tailor to your business. Accountants require professional indemnity insurance to specifically provide protection for risks such as damages to a third party from a breach of professional duty. In order to protect real estate agents from providing misleading or false information that results in the client suffering from emotional, physical or financial loss professional indemnity will cover any legal action. Business can suffer from unexpected losses, protect yourself, business and income financially and legally though having the professional indemnity insurance policy in place. In this digital age consumers are increasingly relying on online services to shop, search and gather information. It makes sense to bring your business online so that these customers are able to find your business and purchase your goods or services. While many businesses consider any risks posed to their brick and mortar stores many forget about their online stores and their digital presence. Cyber insurance is a form of risk management solution that offers your business protection against a host of cyber security risks that are present online. Cyber insurance can cover data liability, electronic data, digital media liability, fines and much more. Whether it’s a commercial property, an investment property or you home, a property is an asset that is worth protecting. Rather than risk expensive damages or repairs, invest in a property owner insurance plan that protects one of your most valuable assets. The most common insurance options that property owners choose include fire and defined events, burglary, landlord insurance or public liability. Each of these covers is dependent on the use and purpose of your property. Fire and defined events insurance protects your property and business related contents against fires that are either from natural causes or accidental causes. Additional natural disasters such as earthquakes, storm damage and falling trees are also inclusive under this insurance policy. Burglary insurance provides cover for any burglary that happens in your property for theft of business-related equipment. For those that own rental properties, landlord insurance protects your income in instances where tenants are unable to pay their rent. Commercial properties benefit largely from public liability insurance, which protects your business from third-party injuries on your premises, compensating for medical or hospital bills that may be needed. No matter what type of property you own there is always some form of protection needed to ensure that your home or business is not impacted by events out of your control. Owning and managing your own business can be extremely rewarding but can often present unforseen risks that non-business owners do not face. As a manager or business owner, you are often responsible for the wellbeing of your staff and the safety of your workplace but not all circumstances can be managed or controlled. Management liability insurance offers businesses owners and management against third-party claims. Unlike insurance that protects the business location, management liability insurance provides protection against management actions and processes. This insurance can cover damages and claimant costs, legal costs, investigation costs as well as civil fines. A conscientious and forward thinking Insurance Adviser, with two decades of insurance industry experience. Marc is committed to providing his clients with the highest quality insurance and risk advice and aims to build long term collaboration to ensure they are adequately protected. He is a member of the Australian and New Zealand Institute of Insurance and Finance (ANZIIF) and a Certified Insurance Professional (CIP). Marc is well travelled and enjoys meeting new and interesting people. An insightful, personal, and detail-oriented Insurance Adviser with a proven track record encompassing two decades of experience in the financial services industry. His extensive customer relationship management and leading expertise along with a passion for risk and insurance solutions is without peer. Luke is an active member of the Australian and New Zealand Institute of Insurance and Finance (ANZIIF) and a non-executive board member of Breast and Prostate Cancer Association of Queensland. Luke brings drive, ingenuity and elan to Anderson Financial Services and together with our team has an absolute commitment to optimal solutions for you and your business. Outside of work Luke enjoys supporting charities and sporting clubs. A practical and adaptable Insurance Adviser, with over two decades of insurance and business administrative experience. Sara-Leigh is equipped to handle a vast array of commercial and domestic clients and policies. She is responsible for the efficient and accurate delivery of all administration and documentation tasks. Charity, Not-for Profit Organisations, and Associations. AFS Insurance is a Corporate Authorised Representative of Insurance Advisernet (IA) founded in 1996. IA are a national organisation in both Australia and New Zealand and this allows AFS Insurance the benefit of maintaining their local presence whilst being able to be part of a national group for products and services needed by their customers in todays complex business world. Thank you for contacting AFS Insurance! Your message has been sent successfully. One of our skilled Advisers will be in touch with you shortly. AFS Insurance is a corporate authorised representative of insurance AdviserNet Australia Pty Limited. Corporate authorised representative number 1252471.